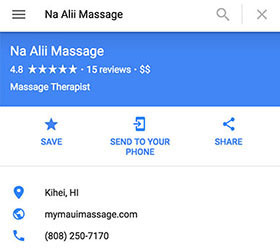 Na Alii Massage | Maui's Top Rated Mobile Massage – We Come to You! 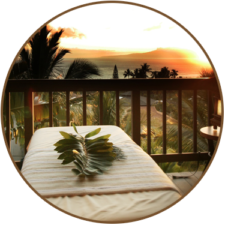 You’ve found Maui’s Top-Rated Mobile Massage company. We come to you in the comfort of your Maui vacation retreat, resort, hotel, condo or home. Na Alii means Royalty in Hawaiian, and at Na Alii we’ve been bringing the Aloha and treating guests like Royalty on the island of Maui since 2006. 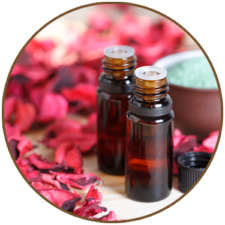 We pride ourselves on 5-star customer service, exceptional licensed massage therapists and some of the best massages & spa treatments Maui has to offer. Our location is your location—On location since 2006! Follow Us on Instagram for Exclusive Deals! Check Out Our 5-Star Reviews on Yelp & Google! 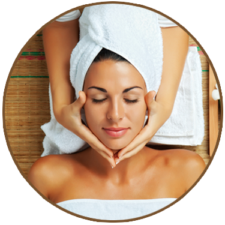 We bring the spa to you in the comfort of your Maui vacation retreat, resort, hotel, condo or home. @2006-Present. Na Alii Massage, LLC. All Rights Reserved. Hibiscus photos ©Mango Tree Photography. Used with permission.